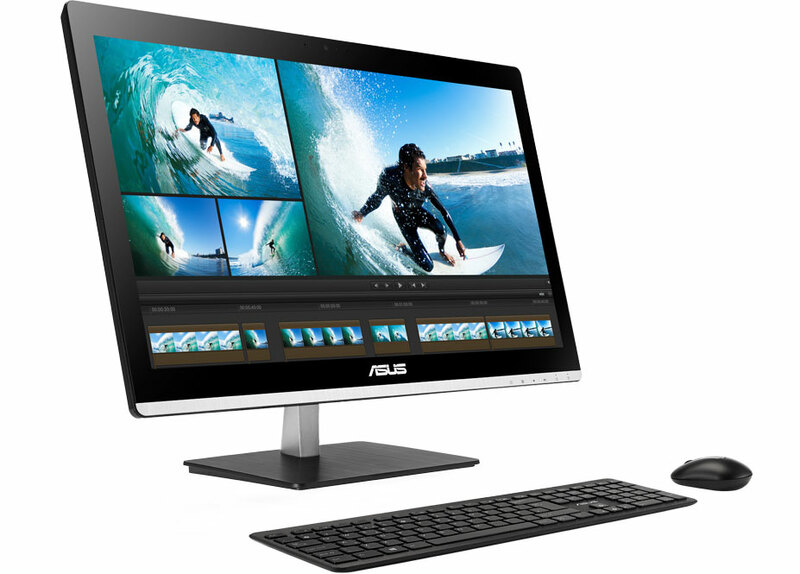 The All-in-One PC Series features everything you need, unrivalled processing power, a superb multi-touch display as well as storage for all your needs, combined in one sleek and stylish package. The ultra-slim 10-point multi-touch display allows easy and intuitive control while the stunning sculpted design with metallic stand gives a graceful and elegant appearance. Multiple I/O ports are combined in one space at the back of the screen to keep all cables neat and tidy, further helping to maintain a clutter. 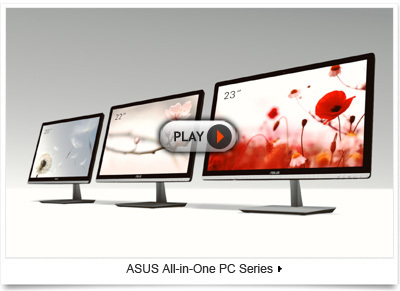 The All-in-One PC Series not only looks stylish and chic, but blends into your home and office spaces with equal ease. Powered by all-new 4th-generation Intel® Core™ processors, ET2030 Series consumes less energy but still delivers outstanding performance. Switch seamlessly between applications for effortless multitasking whether you’re web surfing, creating multimedia-rich presentations or home video editing. With Intel® Turbo Boost Technology 2.0 you’ll spend less time waiting when doing demanding tasks, with an automatic burst of speed whenever it’s required. The ET2030 Series meets all your needs. 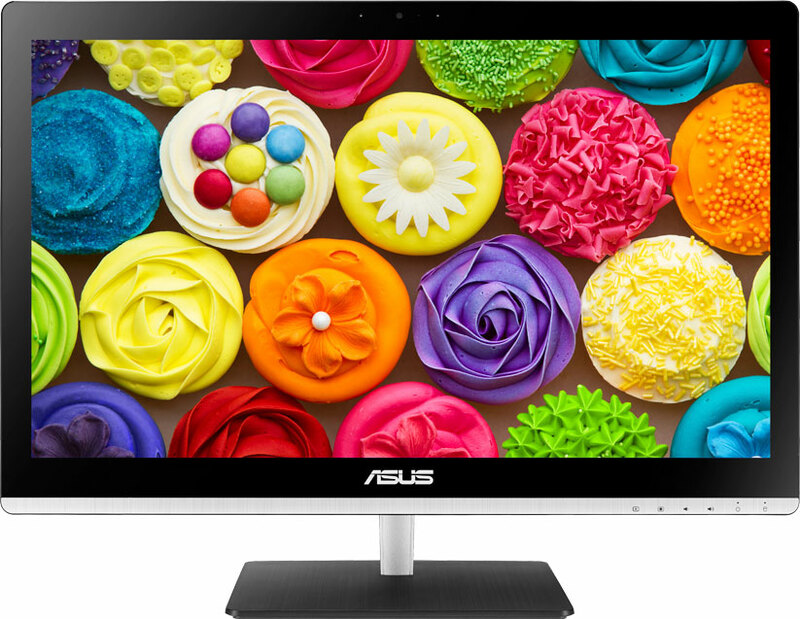 Built with industry-leading technology, ET2030 Series features an LED-backlit display that offers instant-on brightness and allows the PC to be ultra-slim. 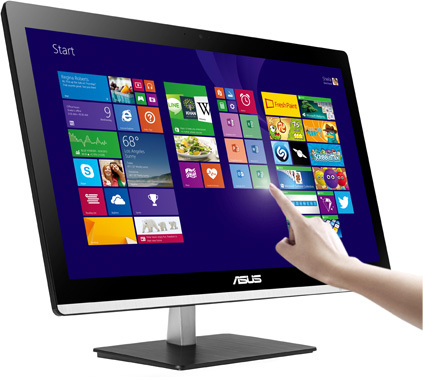 The stunning edge-to-edge 19.5-inch widescreen display makes everything you see vivid and vibrant. Enjoy true-to-life colors with every image, whether it's a beautiful sunset, a clear blue sky or gorgeous skin tones. HD+ 1600x900 resolution lets you enjoy games and movies in impeccable detail with amazing color and contrast. 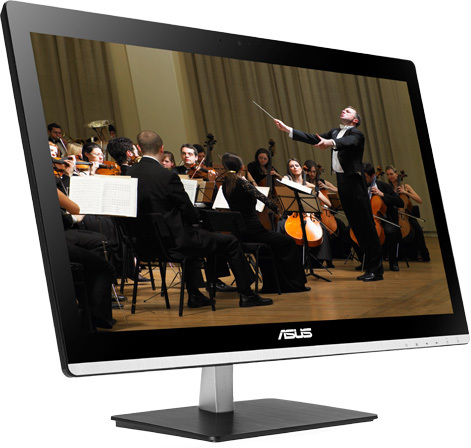 The ET2030 has built-in stereo speakers, featuring the renowned ASUS SonicMaster technology. Together with MaxxAudio® from Waves, recipient of a Technical GRAMMY Award®, it delivers an amazing audio experience. Enjoy deeper and richer bass, a wider range, true-to-life surround, powerful output, distinct vocals, and pristine clarity. Every song, movie, and game sounds better, thanks to carefully balanced dynamic audio. 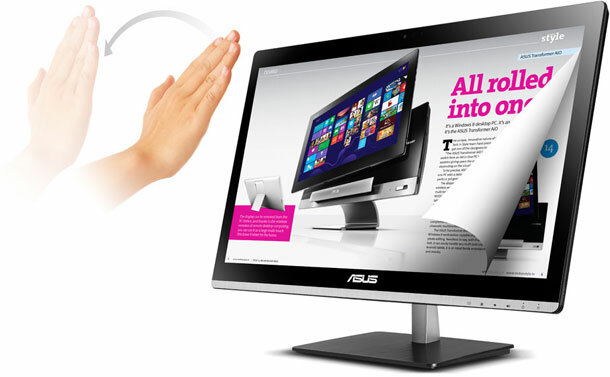 ET2030 series provides a technological leap in touchscreen interactivity with full 10-finger multi-touch capability. Pinch-to-zoom, rotate images and scroll through webpages, all with ease. With projected capacitive touchscreen technology, ET2030 series provides outstanding accuracy, offering effortless control through Windows, optimizing your touch experience. Unfailingly smooth, the responsive touchscreen makes swiping, scrolling, and all other gestures quicker and more intuitive. This brand new experience will transform the way you use your PC, while still fulfilling all your everyday needs and expectations from Windows. Imagine controlling multimedia players or browsing the internet from up to five meters away from your computer. The ET2030 series makes it all possible with Advanced Hand-Gesture Recognition Software (HGRS) that uses the built-in camera to accurately interpret movements. Play songs or videos, adjust player settings, or zoom and rotate photos — all from a distance, without ever touching a screen, keyboard or mouse. With Miracast2 you can wirelessly display your photos and videos on a bigger TV or display, allowing for easy sharing with your friends and family. While streaming, you still can edit files, surf the Internet, read mails, and even play games. An optional TV tuner lets you watch your favorite shows with plug and play ease, while the Electronic Program Guide with scheduled recording means you'll never miss a moment3. ET2030 Series features Dual In-Line Memory Module door (DIMM door), this allows you to seamlessly expand your PC’s memory in seconds! Another awesome feature is ASUS Ai Charger II. This exclusive technology charges your smartphones and tablet without having to leave your PC switched on giving you convenience as well as saving power. Your devices will be charged in super-quick time too. It lets you recharge your smartphones, tablets, and other USB devices up to 50% faster4 as well as transfer data between devices up to 10 times (10x) faster than USB 2.05.